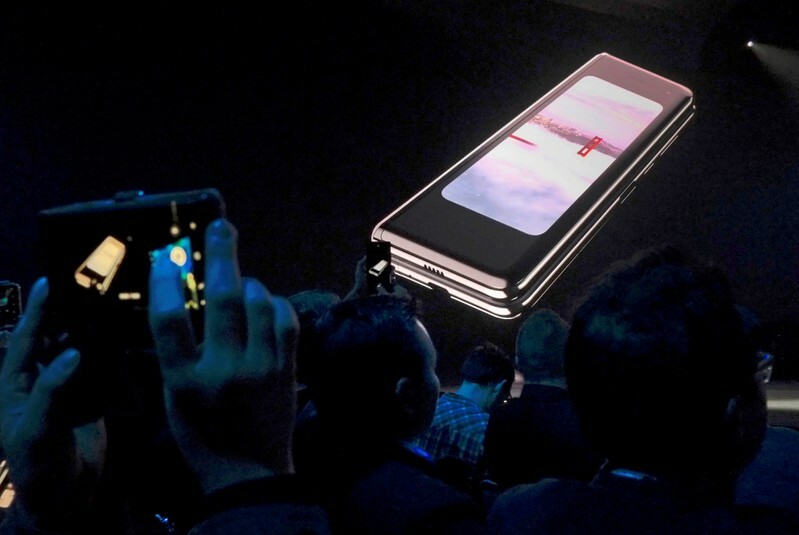 SEOUL (Reuters) – Smartphone maker Samsung Electronics Co Ltd has postponed media events for its Galaxy Fold planned for this week in Hong Kong and Shanghai, a company official said, days after reviewers of the foldable handset reported defective samples. Samsung has hailed the folding design as the future in a field that has seen few surprises since Apple Inc’s iPhone in 2007. Chinese rival Huawei Technologies Co Ltd has also announced a folding handset, the Mate X.
TOKYO (Reuters) – Japanese Prime Minister Shinzo Abe’s ruling bloc suffered two rare losses in by-elections on Sunday in an apparent warning from voters not to get complacent ahead of a national election for parliament’s upper house later this year. The defeats in a lower house by-election in Osaka, western Japan, and another on the southern island of Okinawa – host to the bulk of U.S. military in the country – were the first such losses since Abe returned to office in December 2012, except for one uncontested poll. “Each individual (ruling) Liberal Democratic Party member must take the results to heart and buckle down,” Abe told reporters on Monday morning. The defeats in the Sunday polls come after Japan’s Olympics minister, Yoshitaka Sakurada, resigned a year before the Tokyo Games for remarks that offended people affected by the massive earthquake and tsunami that triggered nuclear meltdowns in 2011. A vice transport minister also quit over a separate gaffe. “The cabinet support rate is maintaining a certain level, but if they do not eradicate laxity and conceit, the upper house election will perforce be a difficult fight,” said an editorial in the conservative Yomiuri newspaper. Support for Abe’s cabinet was at 47 percent in a survey by public broadcaster NHK released this month, up five points from the previous month. In Okinawa, Tomohiro Yara, a free-lance journalist backed by several opposition parties and running on an anti-U.S. base platform, defeated a former cabinet minister. In Osaka, Shimpei Kitagawa, backed by the LDP and its junior partner Komeito, lost to Fumitake Fujita from Nippon Ishin) (Japan Innovation Party), a conservative Osaka-based party that sometimes cooperates with the LDP nationally. Speculation is simmering that Abe will call a snap lower house election in tandem with the upper house poll, possibly after announcing the postponement of a sales tax hike to 10 percent from eight percent scheduled for October. Top government officials vowed on Friday to go ahead with the tax rise, barring a big economic shock. Such a “double election” might help take advantage of weakness among the fragmented opposition parties, but could also spark the opposition to cooperate on candidates. 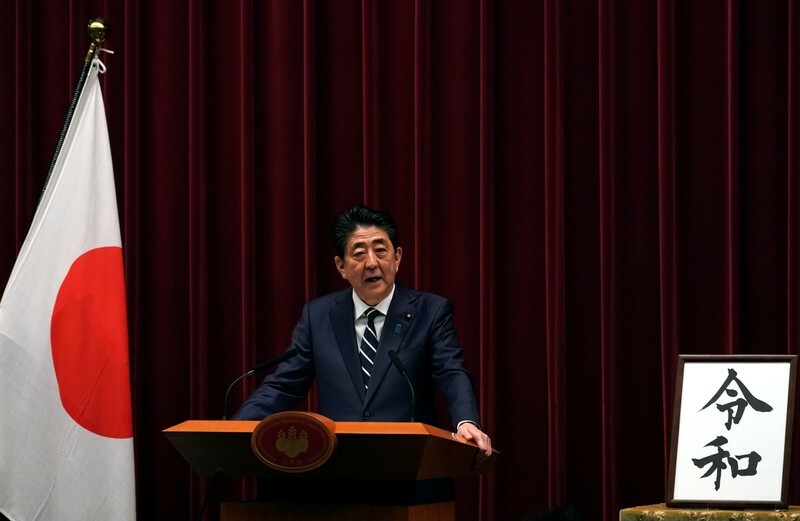 “Abe must be wondering which suffers more from weakness – LDP/Komeito or the opposition,” said Sophia University political science professor Koichi Nakano. Several Republicans hit back at Sen. Mitt Romney, R-Utah, over the weekend after he said he was “sickened” by President Donald Trump’s actions as detailed in special counsel Robert Mueller’s report. “Know what makes me sick, Mitt? Not how disingenuous you were to take @realDonaldTrump $$ and then 4 yrs later jealously trash him & then love him again when you begged to be Sec of State, but makes me sick that you got GOP nomination and could have been @POTUS” Huckabee tweeted. Giuliani took aim at Romney during an appearance on CNN Sunday. The Justice Department released a redacted version of Mueller’s report last Thursday. Mueller wrote that he found no proof Trump had conspired with Russia, and did not draw a conclusion over accusations the president may have obstructed justice. Brooklyn Nets general manager Sean Marks was suspended one game without pay and fined $25,000 on Sunday for entering the officials’ locker room after Saturday’s Game 4 of the first-round series with the Philadelphia 76ers. The announcement by Byron Spruell, president of NBA league operations, didn’t divulge what occurred after Marks entered the room following Brooklyn’s 112-108 loss. 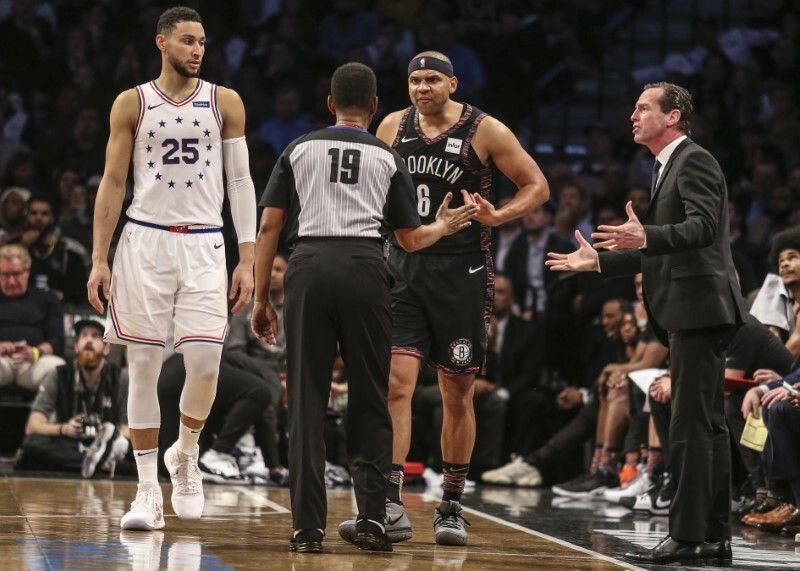 But the contest was emotionally charged and included a ruckus in which Jared Dudley of the Nets and Jimmy Butler of the 76ers were ejected. Nets coach Kenny Atkinson was upset following the contest that there wasn’t a call on Philadelphia’s Tobias Harris for grabbing Brooklyn’s Jarrett Allen with 4.8 seconds left in regulation as his club looked for a tying or winning shot while trailing by two. On Sunday, the NBA agreed with Atkinson’s contention, acknowledging that Harris should have been called for fouling Allen. Marks will serve the suspension on Tuesday when the Nets visit the 76ers in Game 5. –The NBA fined Dudley and Butler in the wake of the altercation involving several players in the third quarter of Saturday’s first-round NBA playoff game in Brooklyn. Dudley, who shoved Philadelphia’s Joel Embiid after Embiid made a hard foul on Allen, was fined $25,000, according to Kiki VanDeWeghe, the league’s vice president of basketball operations. Butler, who then shoved Dudley, was fined $15,000 for escalating the situation. The scuffle then spilled over into the stands, with Philadelphia’s Ben Simmons and Dudley as lead combatants. –San Antonio Spurs guard DeMar DeRozan was fined $25,000 for his ball-tossing effort during Saturday’s 117-103 loss to the Denver Nuggets. –The Cleveland Cavaliers were quick to halt any talk that they have interest in Rick Pitino as a candidate for their vacant head coaching position, cleveland.com reported. –Dirk Nowitzki’s NBA career might have ended earlier this month, but he still managed to score more points this weekend with a thank-you letter he penned to Dallas Mavericks fans. The Trump administration is “not going to do a military exercise inside Iran” in order to precipitate a regime change, Secretary of State Mike Pompeo said, Axios reported on Sunday. Pompeo was speaking in a closed-door meeting recently with about 15 Iranian-American community leaders in Dallas, Axios said, relying on three sources who were in the room. Pompeo also distanced the administration from the People’s Mujahedin of Iran (MEK), an anti-regime organization that the U.S. once designated as a terrorist group and which some in the room said are worse than the current regime in Tehran. He acknowledged that National Security Adviser John Bolton and Trump’s personal lawyer Rudy Giuliani have friendly ties with the controversial group, but emphasized that neither he nor Trump did. Pompeo mostly used euphemism to talk about the administration’s stance on Iran and was sparse with details, according to the sources in the room. The secretary of state also said the Trump administration would have handled the 2009 Green Movement uprising against the regime very differently than the Obama administration did, but refused to describe how. The State Department did not respond to requests for comment about the report. The Yankees recalled infielder Thairo Estrada to take Judge’s place on the roster. 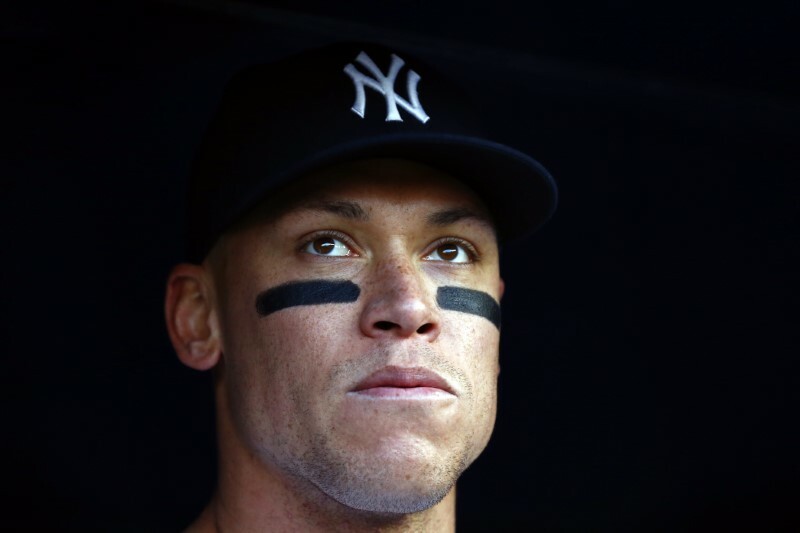 Judge injured himself on a swing in the sixth inning of Saturday’s 9-2 victory over the Kansas City Royals. He hit a home run earlier in the game, his fifth of the season. Yankees manager Aaron Boone called it a “significant” oblique strain, but no timetable has been given for Judge’s return. –Toronto Blue Jays right-hander Matt Shoemaker will miss the rest of the season because of a torn left ACL, according to multiple reports. Shoemaker, 32, was off to a terrific start this season with a 3-0 record and a 1.57 ERA in five games. He injured his knee on a freak play Saturday while chasing after the Oakland Athletics’ Matt Chapman in a rundown. It was the latest setback for the veteran, who made only seven starts with the Los Angeles Angels last season because of a forearm strain. He also fractured his skull in 2016 when a line drive hit him in the head. –The Tampa Bay Rays made a flurry of roster moves, including placing outfielder Austin Meadows on the 10-day injured list with a sprained right thumb. Meadows was injured on a slide into third base while hitting a triple in the seventh inning of Saturday’s game against the Red Sox. He was replaced on the roster by infielder Joey Wendle, who was activated from the IL amid his recovery from a strained left hamstring. The Rays also placed right-handed reliever Hunter Wood on the paternity list, while sending right-hander Jake Faria to Triple-A Durham. Right-hander Emilio Pagan was recalled from Durham, as was utility man Andrew Velazquez. –Milwaukee Brewers second baseman Mike Moustakas was out of the lineup against the Los Angeles Dodgers after X-rays uncovered a fracture at the tip of his right ring finger. The Brewers elected not to put the veteran on the injured list just yet, considering him day-to-day. 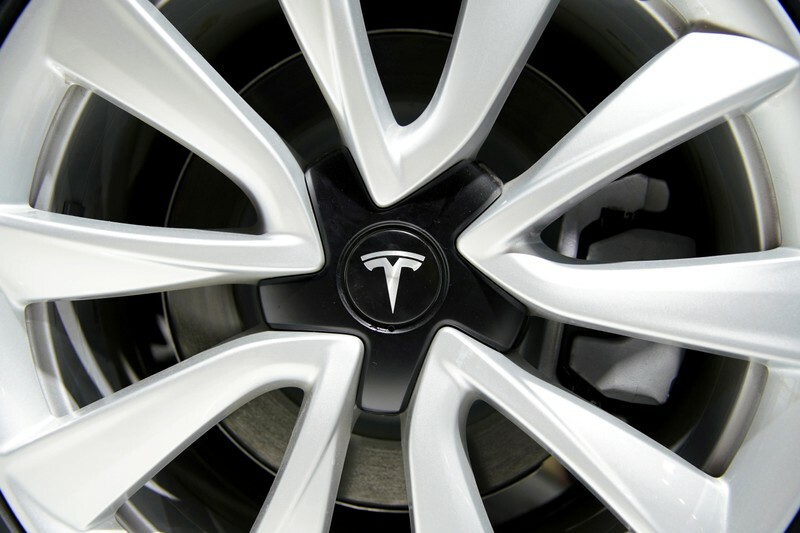 SHANGHAI (Reuters) – U.S. electric vehicle maker Tesla Inc on Monday said it had sent a team to investigate a video on Chinese social media which showed a parked Tesla car exploding. 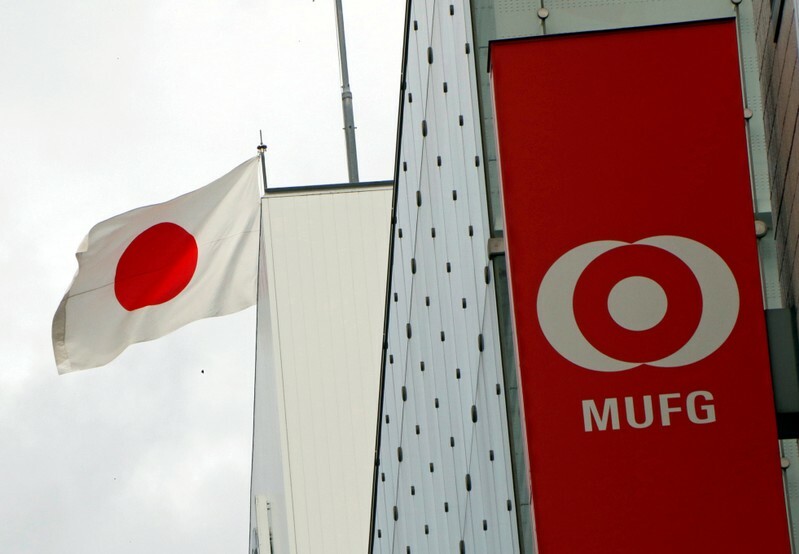 TOKYO (Reuters) – Mitsubishi UFJ Financial Group will book about a 100 billion yen ($893.34 million) loss in the year to March after its credit card unit stopped development of a new system, but it will stick to its full-year profit forecast, the Nikkei said. MUFG, Japan’s biggest bank by assets, will keep its full-year net profit outlook of 950 billion yen, the newspaper said on Monday.